Despite being a city of just over 300,000 people, Pittsburgh is home to many world-class museums. 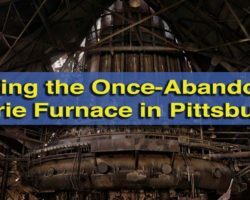 While many of these museums focus on beautiful art, world history, or even sports, Pittsburgh is also home to its share of odd and unique museums. 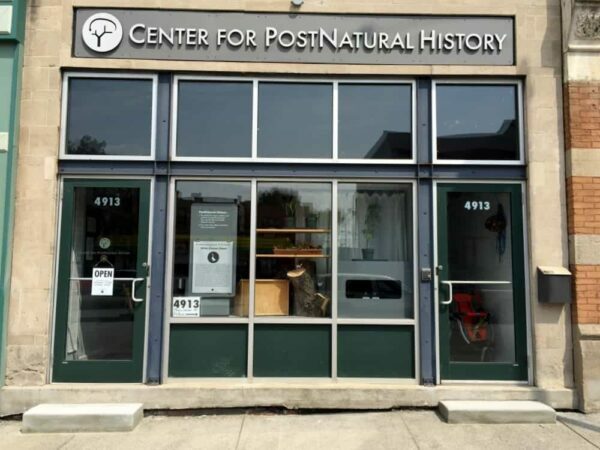 The Center for PostNatural History is located in a storefront along busy Penn Avenue in Pittsburgh’s Garfield neighborhood. 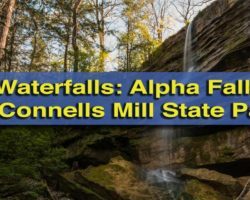 It explores topics like selective breeding and genetic modification back to their roots thousands of years ago. Each item on display in the museum was modified in some way to change its genetic traits into more desirable ones. The Center for PostNatural History is located in a storefront on Penn Avenue. One great example is also one of the largest exhibits in the museum: the transgenic goat. 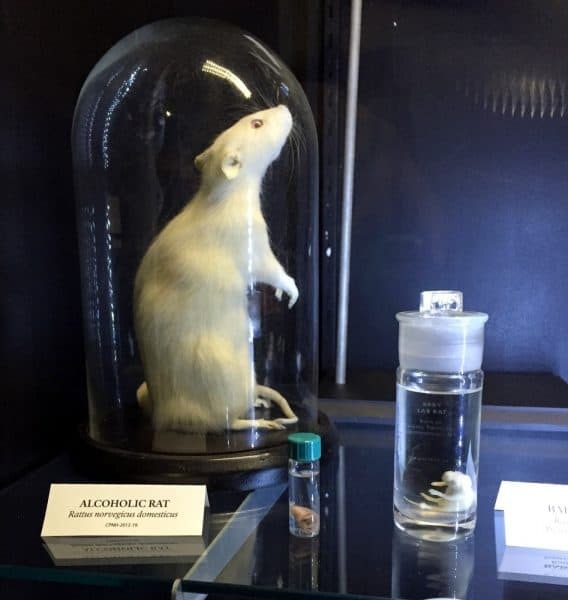 This taxidermied animal looks no different from any other goat, but its genes were modified so that it produced silk in its milk. The idea was to create a better way to obtain silk than by working with tiny spiders. 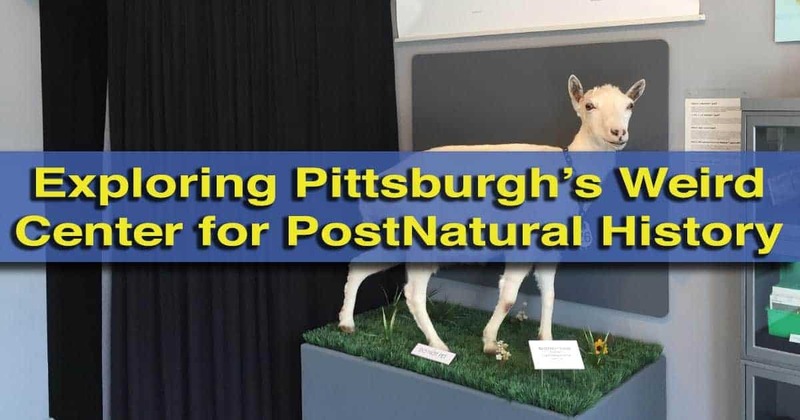 The transgenic goat, which sits in the museum’s entryway, offers a great introduction into the wonders and anomalies that are present inside the rest of the museum. 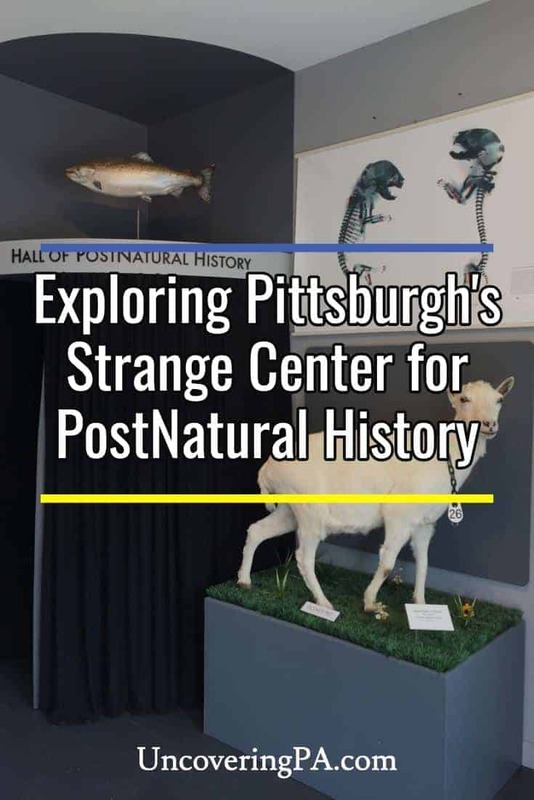 Currently, the Center for PostNatural History in Pittsburgh consists of only two rooms (though they are currently working to expand its size). The first room serves as the museum’s entryway, gift shop, curator desk, and display room. 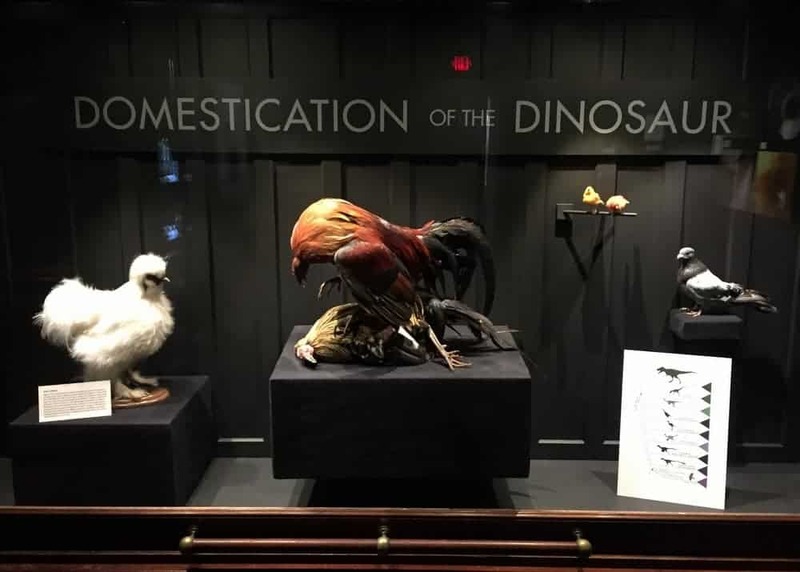 The displays at the center showcase how man has changed plants and animals throughout history. The museum’s second room, dubbed the Hall of PostNatural History, sits behind a black curtain. Inside, the room is pitch black and lit by low-powered display lights. These lights help to maintain the integrity of the items showcased. Most of the items in the Hall of PostNatural History are small items that are housed in their own containers. Because of the low light, there are few signs. Instead, information is conveyed via handsets that you pick up and can listen to. Visitors can learn about how insects, small mammals, and even plants have been changed by humans throughout the years. These displays offer an insightful look into mankind’s effect on the planet, and how far we have gone to alter life here. More displays at this unique museum. 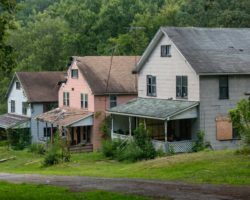 Overall, the Center for PostNatural History is a fascinating look at how humans have altered life on the planet, both in recent years and in millennia past. 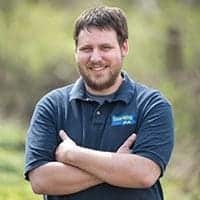 While the museum is currently only two rooms in size and only open a few hours a week, the free admission means that there’s no reason not to visit if you are interested in unique history or enjoy visiting odd museums. 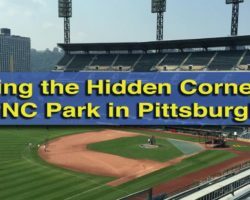 Want to visit more odd places in Pittsburgh? Check out Bicycle Heaven, Randyland, and the Andy Warhol Museum. 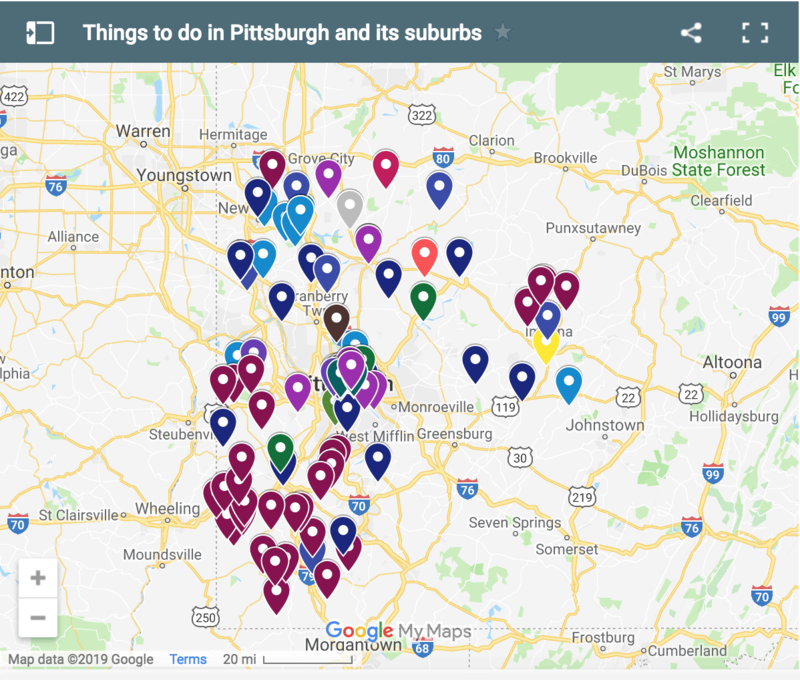 And, don’t miss our list of the best free things to do in Pittsburgh.